Mother lion had been yawning as she rested in the shade of a tree, watching her half grown cubs unsuccessfully chasing everything that moved until they exhausted themselves, but as soon as this unfortunate Vulnerable Prey Image limped past dragging an injured leg, she was in for the kill immediately. The most gain for the least effort, banking on the sure thing, minimizing wasted effort, that’s the name of the game if you are a predator. When we look at this picture of a lion swooping in for the kill most anglers would have no difficulty imagining a Pike in a similar attack scenario in some weed fringed lake or river. It is when we try to put trout and salmon into this picture that some fly fishers have difficulty in accepting that both trout and salmon are just as voracious, aggressive, and efficient as the lioness in the picture. This bird is pretending to be injured by dragging its wing along the ground and is successfully enticing a predator (Fox) away from her nest. This just shows how strong an impact that creating an image of vulnerability can have on a predator. Why is it that Game anglers find difficulty in accepting that salmon and trout are voracious, aggressive killers? 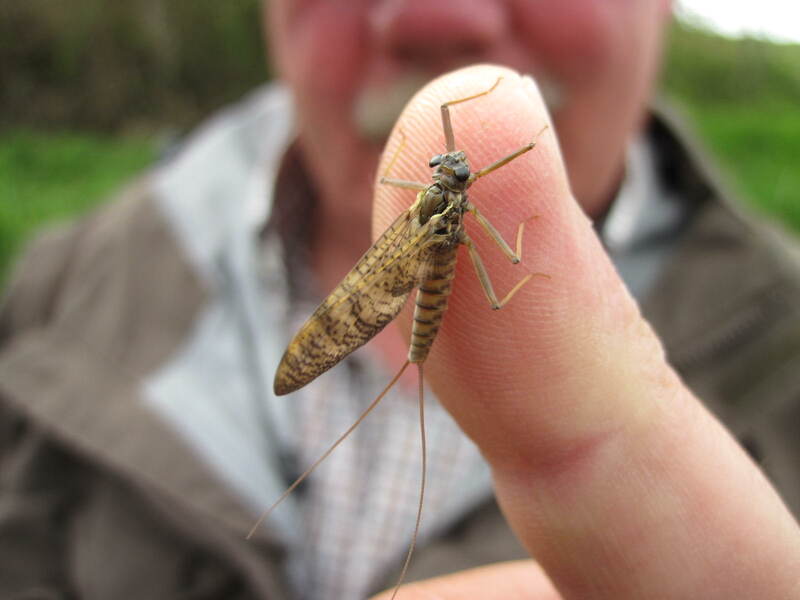 One explanation could be that many angling writers down through the years have depicted trout as a highly educated, intelligent species only daintily nibbling down a succession of perfectly formed floating natural dry flies. Added to this we have some salmon angling writers offering no plausible explanation about salmon taking/feeding behaviour in freshwater except to seemingly through their arms up in despair at the mere thought that there could be any real logical explanation . The common reason given for their frustration is that because salmon are scientifically know not to feed in fresh water, and it all must be some huge mystery why salmon ever take our flies at all! . This must be very frustrating and confusing for beginner salmon anglers because depending on where they investigate to obtain a good basic understanding of the sport, they are offered either good sound advice at one end of the scale or some form of mystical wishy washy drivel at the other end, and everything in between. There is a logical reason why salmon, trout and pike take our flies and most of it concerns presenting a Vulnerable Prey Image. The two main types of flies that we use when fly fishing for salmon or trout are small bait fish imitations and insect imitations. When we look at a famous salmon fly like the Gold Willie Gunn and imagine it under water in our favorite pool darting in short spurts as we strip it over the lies we realize that we are really imitating a little fish trying to evade capture. 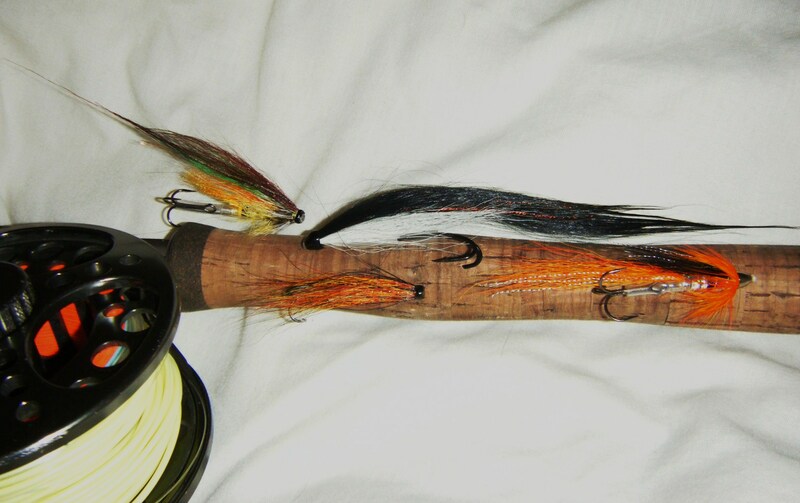 At the same time somewhere in the USA you will have a trout fly fisher fishing a very similar fly called a Mickey Finn in his favorite pool. In fact there is quite a lot of interchanging of bait fish imitating fly patterns between trout and salmon anglers. Many originally trout based imitations such as the zonker/minkie style flies have now been adopted fully into the salmon scene. 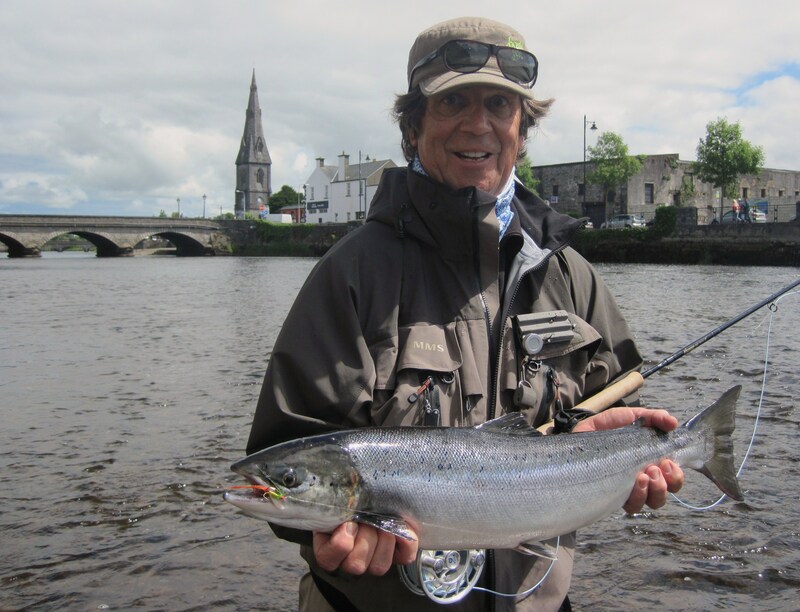 I remember years ago fishing a falling flood on the river Easkey managing to land four nice fresh fish on a rainbow trout style minky fly. As I was unhooking my fourth fish a man approached me for a chat. As it turned out it was a client who I was going to be guiding the next day. He seemed to be very interested in the fly that I was using and when I showed it to him —well lets just say he nearly fell into the river!. “But it’s a rainbow trout fly” he said, “why would you dream of using such a fly”. His reaction to my choice of fly really brought it home to me that we salmon anglers are often too constrained by tradition and peer pressure to logically asses the prevailing river conditions and fish whatever fly we have at our disposal that gives us the best chance of a fish. That day on the Easkey the water conditions were more suitable for spinning than fly fishing and the only fly in my box that came close to imitating a yellow flying c spinner was a 75mm yellow Minky . 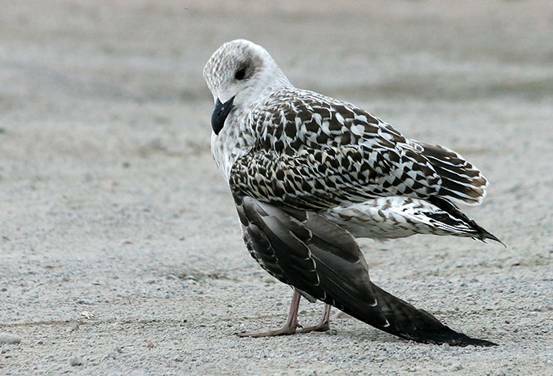 Getting back to the Vulnerable Prey Image – what’s the difference between what normal prey look like and what vulnerable prey might look like? . I would think that normal prey try to look as inconspicuous as possible using their camouflage and any available cover when possible. Normal prey likes to blend into the background of their underwater world, and not draw any attention in any way from the local predators. Vulnerable prey are just normal prey that stand out from the crowd. This standing out from the crowd, or if you like, looking different from the norm, is a strong trigger for predators like salmon, trout, and pike to attack. Our poor unfortunate prey may be injured, may have been washed away in a strong current, may have been separated from its shoal and be alone, may be diseased, may be diseased and this may have changed its coloration making it more conspicuous, may have been feeding on insects at the surface over deep water leaving itself vulnerable to an unseen attacker launching from below and I am sure you can think of more. Salmon , trout, and pike all feed on both normal prey and vulnerable prey from a young age but as they grow and their bodies need proportionally more return in nutrition than they are expending in energy accessing this food, then they gradually develop the vital ability to spot weakness and take advantage at every opportunity. In fact salmon, trout, and pike are hot wired to instantly react and attack prey that is displaying symptoms of vulnerability. I suppose you could call it an automatic natural reflex action. Salmon lose their sea teeth before entering fresh water on their homeward journey. If you were to see a salmon with their sea teeth then you would fully realize that they are supreme predators and the next time one comes to your fly you can admire one of natures most lethal and efficient killing machines. We can incorporate mobile materials such as rabbit or mink fur strips into our salmon flies along with many other modern synthetics to help us make our flies look more alive in the water. Is this necessary? — well in some situations it will be important but lets not forget our Gold Willie Gunn mentioned earlier . 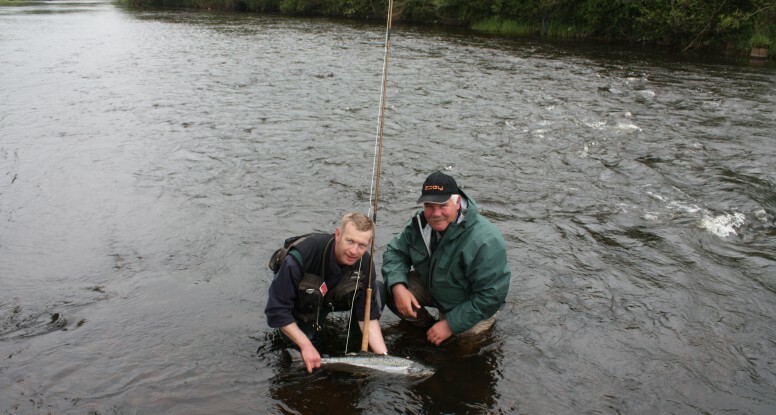 Our Gold Willie Gunn is not tied with very mobile materials but still continues to fool salmon every season. This is because it’s what a salmon thinks it sees that really matters and its up to us to manipulate our flies and offer up a Vulnerable Prey Image. Skilfully presenting a fly that drops back erratically as it enters, and swims across a strong current gives the strong impression of a creature unable to hold its place, and is struggling to survive. 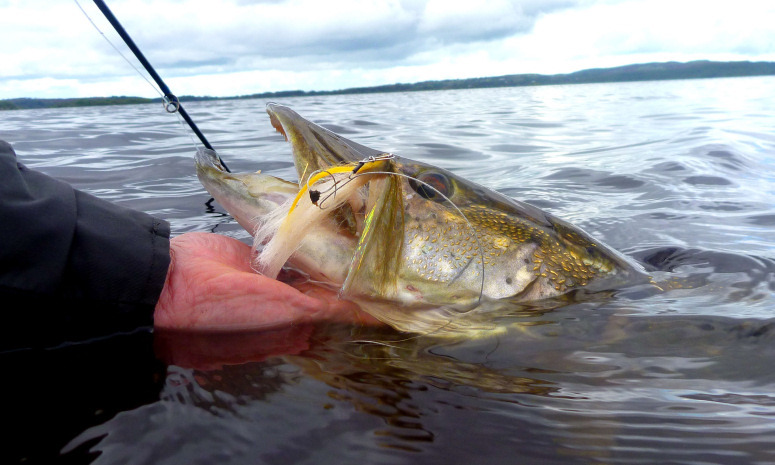 This impression of weakness makes the fly look like an easy target for a trout, or salmon. When we fish artificial flies that are supposed to represent prey fish over trout, salmon, and pike there are a variety of things we can do to help create the required illusion of vulnerability. We can incorporate weight in the fly tying process that if positioned near the head of the fly will help to give it an undulating swimming action mimicking the action of a distressed fish. Another way to achieve the same action without adding the weight in the tying process is to add a heavy split shot to the leader just up from the fly. There a variety of plastic lips, discs, vanes, and cones etc that can be added to our flies to make them dive, wobble, pulse, stutter, and if combined with various floating/sinking fly lines, we can then add different styles of retrieve, varying from short strips to full hand over hand, and all the variations in between, helping us to adapt to any given situation. 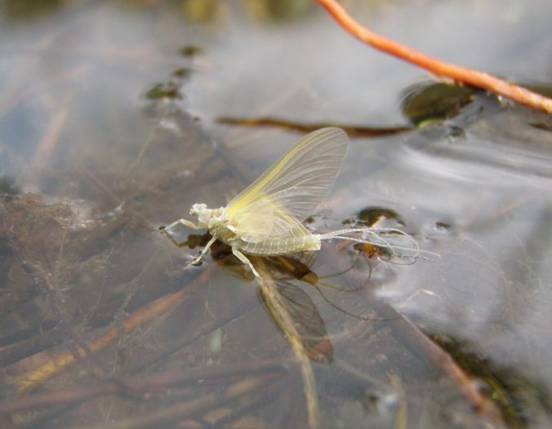 Remember we can also make use of various river currents to control the angle and speed of our flies along with various presentation casts to help mimic the action of Vulnerable Prey. 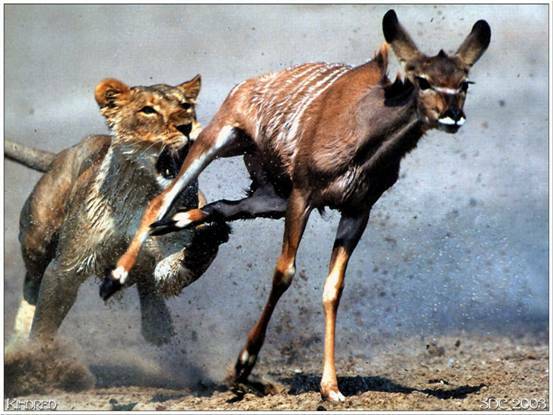 How does the Vulnerable Prey Image apply in this situation? In the second part of this study we will take a close look at the Vulnerable Prey Image and its relevance to fish feeding on insects.